The pursuit of happiness has been gripping society for thousands of years. 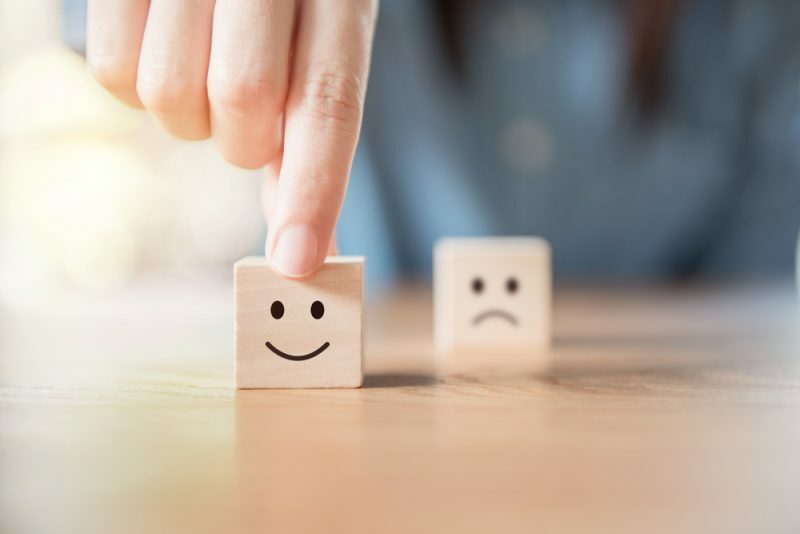 Now studies by American psychologist Sonja Lyubomirsky have come to a surprising conclusion: our life circumstances have little impact on our happiness. London Life Coach, Hans Schumann, explains why. Apparently, only 10 per cent of our happiness is determined by what we have or experience. These findings are in stark contrast to our focus on seeking material things such as money, status, beauty or career progression. In a way we already know this. We have all heard stories of famous people who seem to have it all but are deeply unhappy. Equally, we probably all know people who have less than us but enjoy fulfilled lives. If all those things we keep chasing have so little impact on our happiness, what are the real factors that determine how we feel in life? The bad news: Blame your genes! In her book The How of Happiness, Sonja Lyubomirsky explains that 50 per cent of our happiness is genetically determined. This means that our capacity to experience happiness has certain limits that we are born with. You can compare this with the limitations of your body. We all have different body types and not everyone has the genes to look like a fitness model, no matter how much we diet and exercise. It’s the same with our capacity to be happy. Luckily, the remaining 40 per cent of your happiness is completely within your control. It is determined by what you thinkand what you do. In fact, since you can also influence your life circumstances, which account for 10 per cent of your happiness, you control over 50 per cent. That’s plenty to play with! Let’s look at how you can do this through your thoughts and actions. The reason why your life circumstances have so little influence on your happiness is that your emotions are not a response to what happens to you. I know this sounds weird, but here is why: Everything you experience is processed by your mind, which then attaches a story to it. Your emotions are a reaction to that story, not to the original event. Sometimes your stories will be positive, sometimes negative; but they are always biased. Just think of the classic example of the glass of wine which we can think of as either half empty or half full. Both are true, but one will make us feel better than the other. All of this means that you can change how you feel about your life by changing your thoughts about it. If you think that you can’t control your thoughts, think again! Thoughts are just words and pictures in your mind and you have the power to change them. You may not always be able to prevent negative thoughts from coming up, but you always have a choice to let them go and move on to a different thought. That’s not about “faking good”. It’s about adopting a more balanced view on life by appreciating that almost everything has a good and a bad side. We just need to be willing to look for it. You may already know what works best for you. Think of activities that make you feel alive and joyful. How can you bring more of them into your life? It’s so easy to postpone our happiness into the future; for example, by thinking that we will be happy oncewe have that soulmate, gym body or dream job. Yet happiness does not have to wait. We can be happy here and now. A good starting point is to shift your focus from what you don’tto what you dohave. Stop now and think about five things that you can be grateful for. Maybe that’s your home, your partner or simply that you’re alive. Then deeply connect to that sense of gratitude. Done it? Congratulations! You have just taken your first step to creating happiness. I am an Executive Career & Life Coach in London, with a background in law and financial services. A serious health crisis with an autoimmune disease, which was triggered by a burnout and made me housebound for almost two years, shook me up and prompted me to re-evaluate my life. I decided to leave the golden cage of corporate life and reconnect to my passion for personal growth: I retrained to become a transformational coach. I now help executives, professionals and business owners create and thrive in lives they truly love. Most of my clients are in established careers, but at a point where they are ready to up their game and create deeper fulfilment and greater success. For some of them that’s about changing or progressing in their career. For others it’s about becoming more effective in what they already do, growing as leaders or creating a more balanced lifestyle. I am the author or the self-coaching book: “Falling in Love With Your Job”, available on Amazon.